For the justice advocates of the Equal Justice Center, this is a perplexing era. Here at the EJC we’re making extraordinary progress using legal action to bring employment justice to more and more low-wage working people on an ever-larger scale. Yet in our larger society there are so many clear indicators that economic and social justice are in retreat; that inequality is on the rise; that paralysis has taken hold in many of the political and social institutions we count on to ensure basic fairness. As 2013 comes to a close, the Equal Justice Center asks you to reflect with us on these competing dynamics – and on how you can help the EJC sustain and accelerate forward movement toward that vision of justice and community we all share. 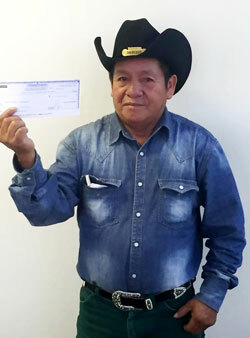 In 2013 alone the EJC has recovered over $1.7 million in unpaid wage claims by low-wage working men and women. That’s a new single-year landmark never before achieved by the EJC or any other non-profit advocacy group in Texas! It lifts EJC’s history of wage recovery close to $7 million for low-wage working people -regardless of immigration status. In the last year EJC launched a new initiative to help undocumented young people who came to the U.S. as children and have grown up in our communities. 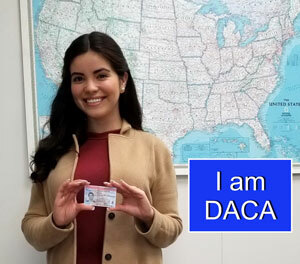 We’ve already helped more than 100 such immigrant young people gain new legal authorization to live, work, and participate in our communities through the Obama Administration’s program of Deferred Action for Childhood Arrivals. This year we’re excited to be expanding this work to reach unserved immigrant youth in 110 counties of Central, North, and Northwest Texas. EJC continues to be one of the leading advocates in Texas for fair immigration reform in the courts, the Legislature, and the Congress – especially reforms that will better protect the rights of both immigrant and U.S.-born workers. During 2013, EJC mentored another thirty young law students in actual, hands-on, public interest law practice through our Transnational Worker Rights Clinic, which the EJC operates in partnership with the University of Texas Law School. These men and women are the future lawyers who will serve as the pillars of public justice, both in private practice and in public service. All of this is still very much an uphill struggle to meet an overwhelming need. And, yes, it is hard not to get discouraged by all those economic, social, and political forces that are pulling our society in the wrong direction. But the proven, effective solution is for all of us to continue pushing forward in the right direction. Your support for the Equal Justice Center enables us, and you, and the working people we serve – to continue achieving that marvelous victory of moving the world in the right direction. Please use this link to donate now online or by mail.